My name is Bill, and I have worked for 180 Medical for over 10 years. 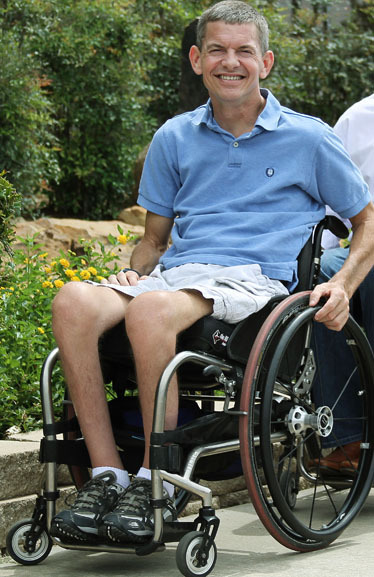 Nearly 26 years ago, I was involved in a motocross accident that rendered me a quadriplegic. You can learn more about my story here. Since then, I’ve been able to help and counsel others who are getting acclimated to life after a spinal cord injury. I am happiest when I am helping others, and these days at 180 Medical, I spend a lot of time talking to our customers on the phone who are new to catheterizing. One thing I get a lot of questions about is self-catheterization in public restrooms. Naturally, people new to cathing can sometimes feel a little unsure about this – from discretion to how to be as clean as possible while cathing. While some people can schedule their daily plans around their cathing routine so they can be at home when it’s time to self-cath, this can be limiting for those who travel, work, or have an active lifestyle. For most people, there’s not a guarantee you’ll always be at home in the comfort of your own bathroom when it is time to catheterize and empty the bladder. I’ve even spoken to some individuals who have skipped cathing to avoid having to do so in a public place, but this is not advisable, as you could be damaging your bladder and kidneys by holding urine in too long. As a catheter-user myself, I thought I could help to shed some light on the best methods for self-cathing when you’re not at home. We hope this helps you with some ideas on how to make self-cathing away from home as easy and safe as possible. When planning to cath away from your home, whether traveling, working, or just having a day out and about, there are different ways of transporting your supplies with discretion and ease. U-shape for those who don’t like to fold their catheters. Consider your catheter options. There are pocket catheters, compact catheters, closed systems, and more — all of which may make your cathing experience away from the home more discreet and convenient, depending on your individual needs. There are many different options in how to carry your supplies. Many wheelchair users carry their supplies in a bag or backpack and hang it on the back of their chair. Some people are able to carry their supplies in a pocket. I have heard of people using anything from eyeglasses cases to money belts. With time, you can find what will work best for you. Learn more about carrying catheter supplies discreetly in this blog post. When you are in your own home, you are not exposed to as many germs and bacteria that you may encounter when cathing in a public restroom facility. 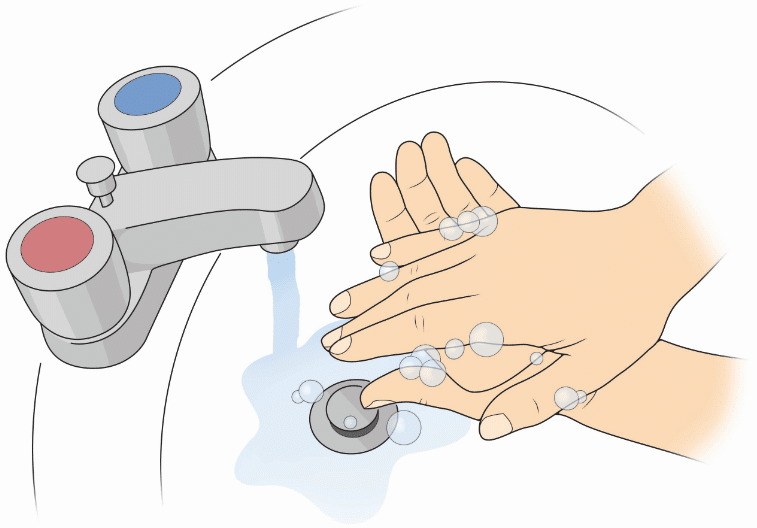 You can just wash your hands at the sink, go to your toilet or the area designated for your routine, and prepare your supplies accordingly. However, in a public facility, you never know what the surroundings will be like. It’s important to keep the process as sterile as possible so that you can lower your risk of any infection. Before you enter the stall, be sure to wash your hands with soap and water. Once you have entered the stall, there probably won’t be a good, clean surface to set your supplies on. You could bring a paper towel from home to set your supplies on. Some people set their supplies on whatever they use to carry them in. You can sit on the toilet or in your wheelchair and prepare things in your lap. antibacterial wipe to clean the area of insertion. If you use a closed system or catheter with a kit, you may have disinfecting wipes or swabs included to use. Some people like to apply some antibacterial gel on their hands as an extra precautionary measure. Many people also use gloves, which are often included with catheter kits as well. If you are using a catheter with a separate lubrication packet, you may face a few more challenges than you might with an advanced product such as pre-lubricated catheters or catheters with insertion supplies. packaging and when pulling the catheter out drag it through the lubrication. If you are using a pre-lubricated catheter, it should be ready to use right out of the packaging. Hydrophilic catheters will require application of water (usually included in a breakable sachet along with the catheter) in order for the lubrication coating to be activated. Some hydrophilic catheter brands include an easy handling sleeve to help you with handling the catheter and guiding it during insertion without actually touching the surface of the catheter tube. 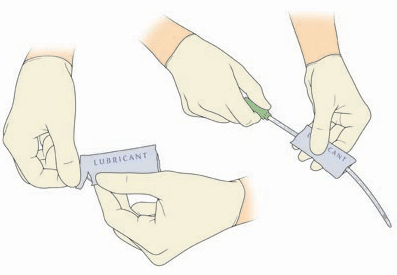 Once you’ve prepped your supplies, sterilized your hands and the area of insertion, and made sure your catheter is lubricated, you are now ready to catheterize. Once you finish, throw away the used contents in the nearest trash receptacle. Never flush a catheter, collection bag, wipes, or other catheterization accessories down a toilet. Need more information on the entire catheterization process? We offer helpful catheterization instructions, and we can also send you step-by-step instructional videos on DVD and full-color brochures with your order. Have more questions? Just give us a call or send us a chat online during business hours. Our staff of catheter experts will be ready to answer any catheterization questions you may have or walk you through the cathing process. Bill worked for 180 Medical for over 10 years. He loves peer mentoring, sharing his first-hand experiences as a quadriplegic, and helping those with in-depth questions about self-catheterization. He enjoys spending time outdoors, as well as watching and attending motocross events. New to using intermittent catheters on your own? We have the tips you need to start! One of our catheter specialists, Bill, gives tips on how he learned to self-catheterize with limited hand dexterity.